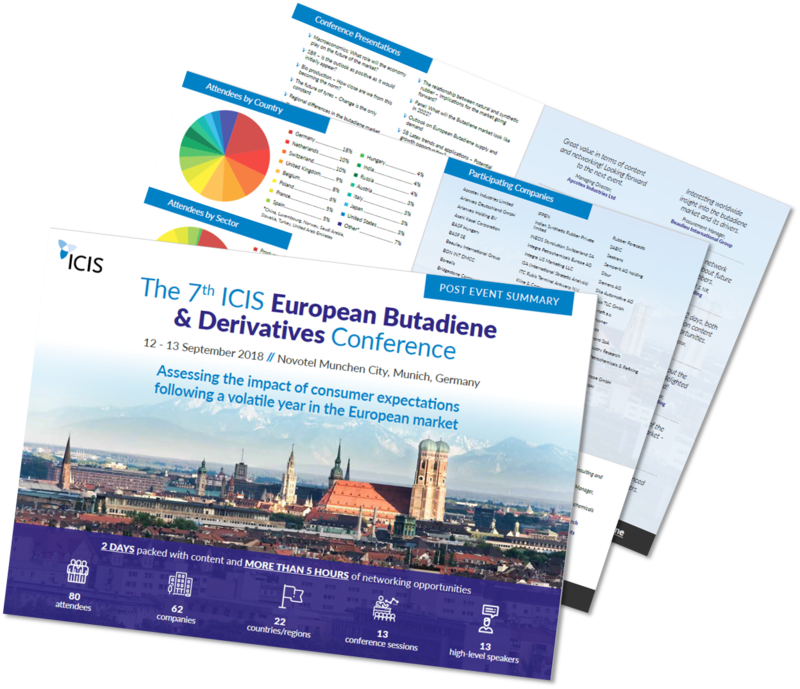 ICIS is proud to take the growing butadiene and derivatives portfolio to Singapore in 2019. As the dominating market in SBR and other derivatives, we will be looking at where the market is heading and what this could mean for you and your company going forward. With uncertainty currently facing Asian supply and demand and with significant drops in derivatives demand, the Asian market is currently facing a period of significant change. Designed to make the most of your time out of the office, this day and a half conference will give you the most up to date and relevant industry information from a line-up of industry experts as well ample networking opportunities to help grow and develop your business. We have gathered together some of the most highly respected professionals in the industry to discuss the role in scaling companies in today's environment. Find out who features in our speaker line-up! View Speakers Interested In Speaking? Caution seems to be dominating theme for 2019, not just for butadiene but also its derivatives. With a significant slowdown in Asia caused mainly by tensions between China and the US, as well as overall drop in SBR and ABS demand, what will this mean for the European market going forward along with its position within the global market? Join us at the portfolio's flagship event, in its 8th edition and for the first time, in Vienna. The event will once again bring the most up-to-date and relevant information on current and future trends, new developments and end-user expectations. With a combination of networking and content this is the must attend event for the European butadiene value chain. Take this opportunity to nurture existing relationships and create new high level contacts through bespoke promotional packages. If you are interested in sponsoring this event, get in touch by requesting a call from our Sponsorship team. During the conference you will hear from and be able to network with some of the industry's senior executives representing the entire Asian Butadiene value chain. Why not try our 'Attendee Networking Tool' to book meetings with registered delegates? Copyright © 2018 Reed Business Information Limited.